Hey y'all! I hope your week is off to a great start! 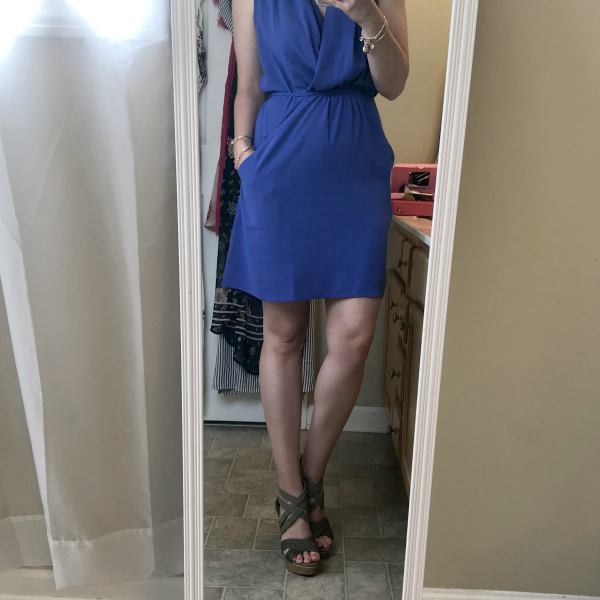 Today, I'm sharing a fun project in collaboration with maurices. 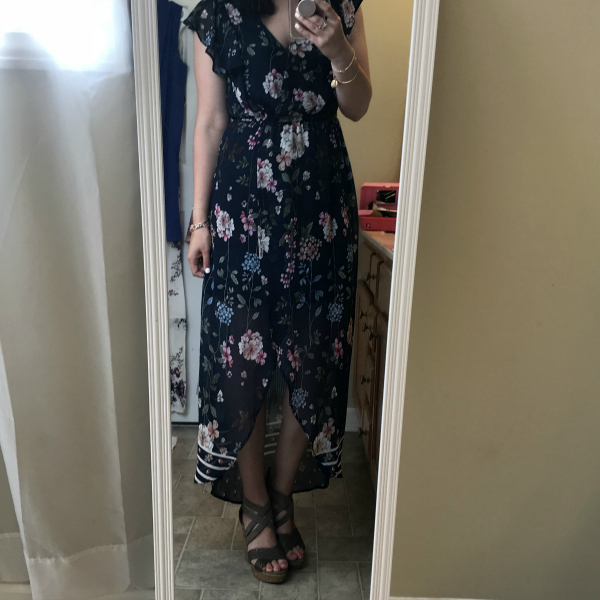 They sent me six dress to try to find the perfect dress (or dresses) for spring and summer! 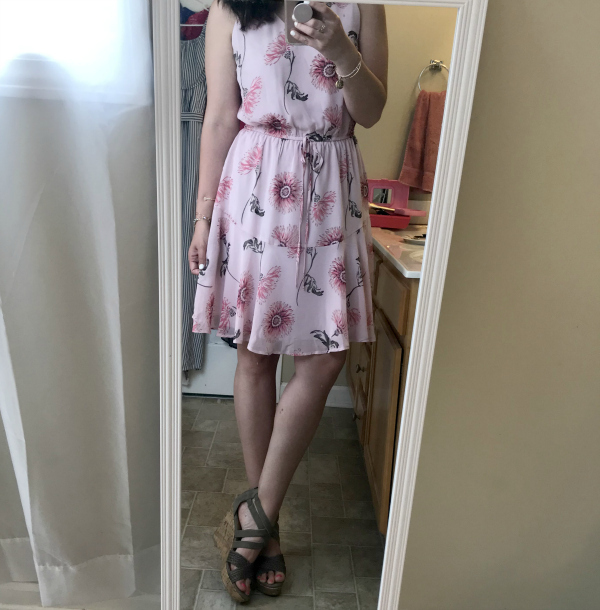 I put these dresses to the test over on my Instagram Stories over the weekend and I loved getting your feedback on which ones you loved the most. Honestly, I really loved them all and it was so hard to pick a favorite. 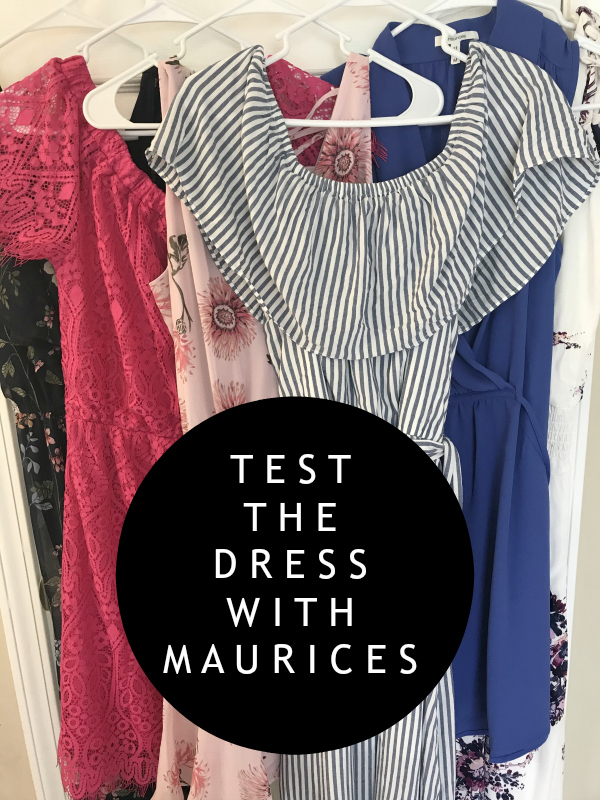 Keep scrolling to see me test the dress and to find out which one I picked as my top favorite out of the six dresses! 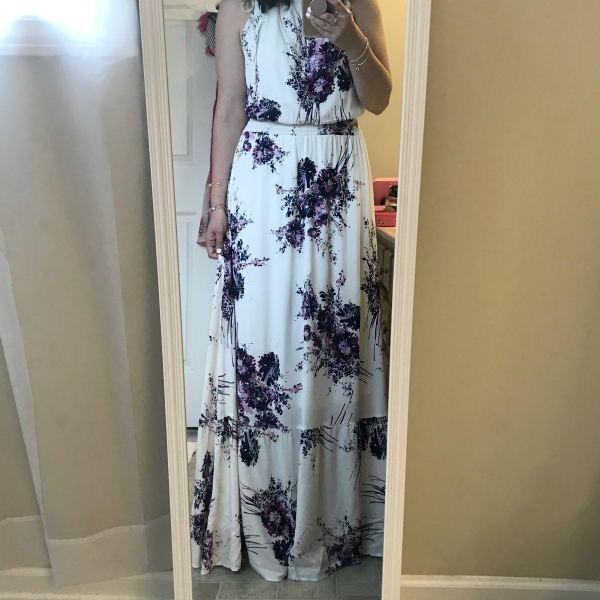 And my favorite dress was... number two! 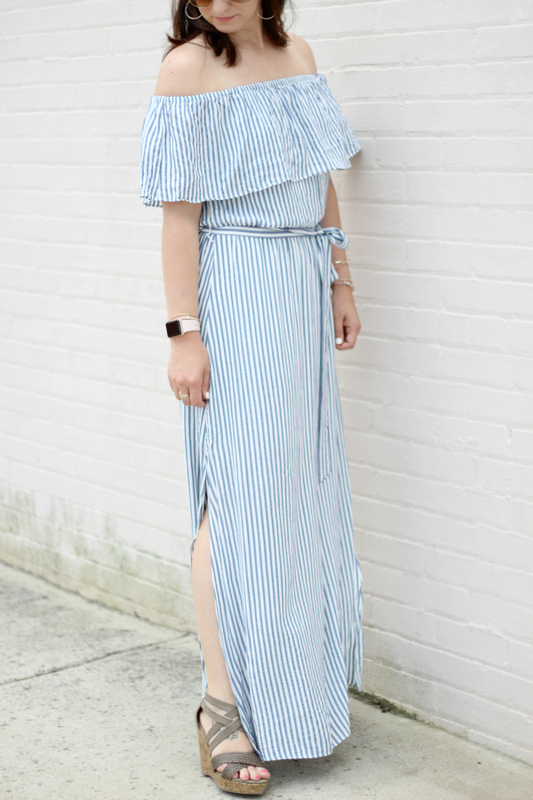 In the polls on Instagram stories, this dress was almost a tie with number six but the stripes and the slits on the sides won me over. 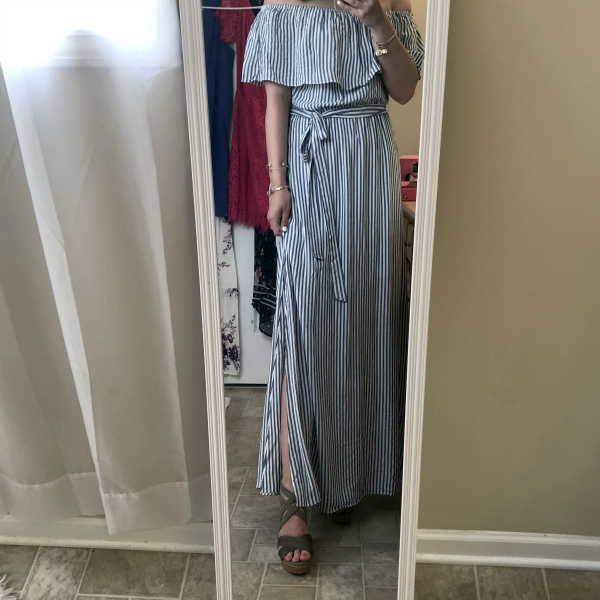 This dress also felt very Grecian to me and I absolutely love everything about Greece (especially the food)! 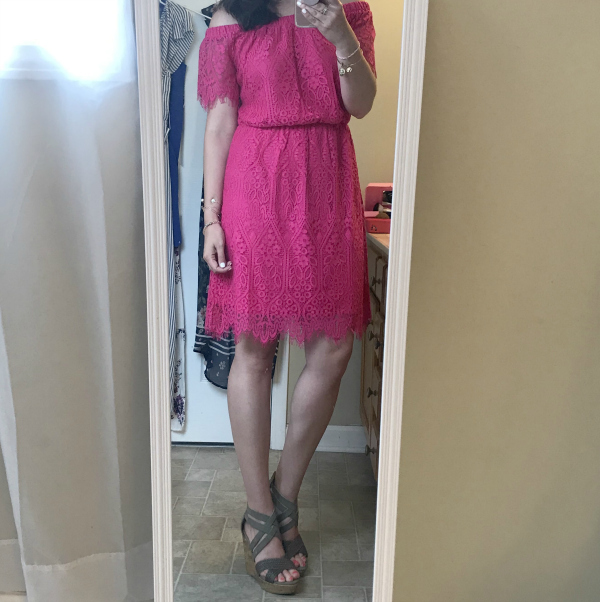 The off the shoulder style is so pretty but I love that it can be worn on the shoulder as well if you need some extra coverage. 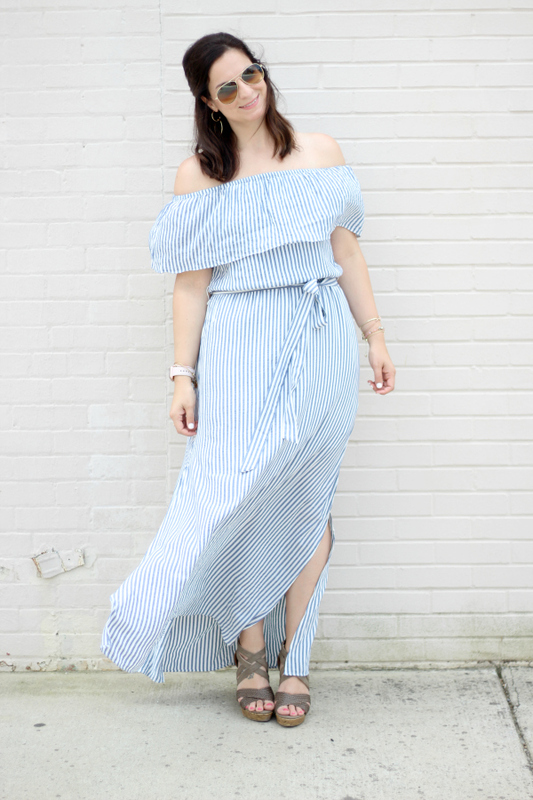 This beautiful, lightweight maxi dress is going to be a closet favorite all summer!